Calling all Veterans! The Veterans For Compassionate Care need you to help make a difference and help save your fellow soldiers. Amid the battle for equal rights in cannabis care, those who fought for our freedoms continue to have theirs limited. Post Traumatic Stress affects millions of veterans, but Congress and the VA continue to deny cannabis as a viable alternative. Now, a study by Veterans For Compassionate Care is researching how cannabis heals to break the stigma and provide proof to the powers that be. PTSD doesn’t just occur in veterans. People develop stress disorders from a variety of traumas, from car crashes to abuse. But combat-related stress remains unique to a select group of society. The triggers for episodes vary. That man who flinches at the sounds of fireworks, the woman who starts to sweat in traffic, they have seen and endured events we only see in movies. While over half the nation now has access to medical cannabis, veterans continue to face hurdles. If they choose to use cannabis to treat their condition, they can be denied the services they earned through service to our nation. Because of the federal law, the VA refuses to let their doctors talk about cannabis with patients. Vets who test positive for cannabis lose prescription access to pain medications with the VA, even in legal states. Treating medical issues with opioid pharmaceuticals has consequently led to an epidemic of addiction and overdose across the planet. The dangers don’t stop at the side effects listed on the bottle. The use of opiates leads to other substances, including heroin and methamphetamines when prescriptions run out or tolerances grow too high. 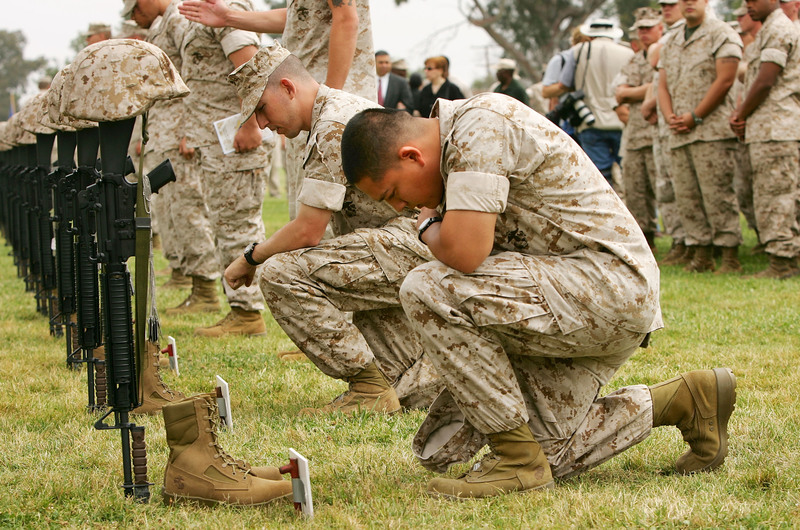 22 veterans a day commit suicide in the US. This simply cannot continue to be ignored. Cannabis stands as a safe alternative to opiates. It cannot cause fatal overdose, and is not physically addictive. If you are a veteran who lives in a medical cannabis state, your struggle and experiences could serve others. Veterans for Compassionate Care wants to talk to you. They plan to conduct a study of 10,000+ veteran patients with a PTS diagnosis who use medical cannabis. To qualify, you must be a state-recognized medical cannabis patient with a legitimate PTS diagnosis. The study will not provide medication, but rather monitor symptoms and medication usage over an 18-month period. The goal of the study is to help veterans determine their best medical cannabis treatment approach. The study plans to compile the largest mass of data ever collected on veterans, PTSD, and cannabis use. To do this, VCC combined the resources of Patients Out of Time, Enigami Medical Cannabis LLC, and other supporters for this national study. If you want to make your voice known, and help veterans choose cannabis over opiates, then go to Veterans for Compassionate Care’s website. There, you can see all the criteria for the study and register. If you can participate, or know a veteran who can, VCC wants your help to curb the toxic level of opiates prescribed to veterans every day. Are you a veteran who chose cannabis over opiates? We want to hear your story! Share with us on social media or in the comments below.